We hope you are having a great weekend thus far! The sun is shining and Vancity looks wonderful. We’re serving up a terrific menu today and we have our Weekend Specials featuring: Indica – Ocean Grown, Hybrid – Blue Cheese, and Sativa – Shiva all at $9 p/gram. 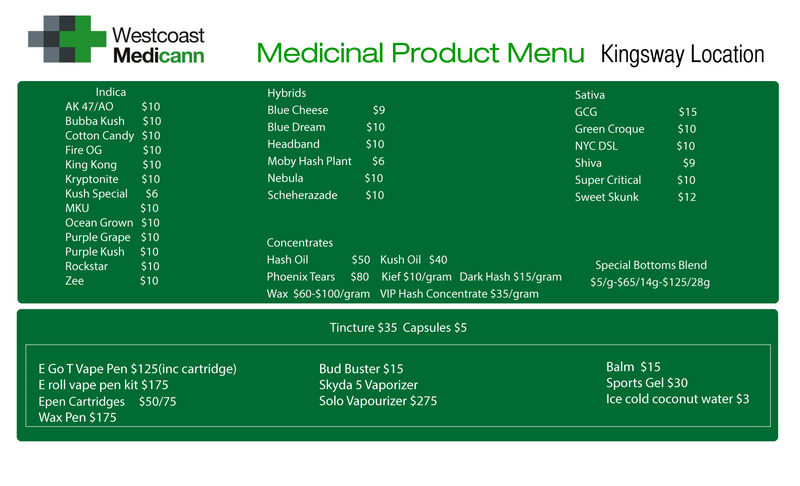 Also join our Facebook Page @ www.facebook.com/westcoastmedicannkingsway to receive the exclusive FB Weekend Special code. Come by and say hi, we are here till 7pm today. Have a great Saturday!